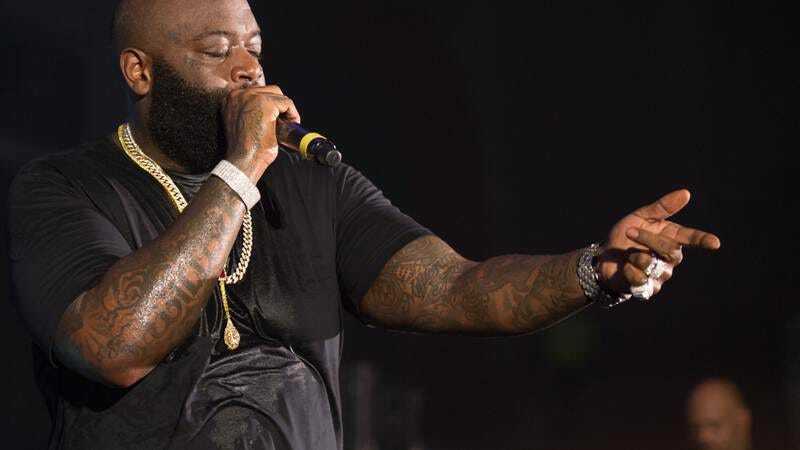 Rapper Rick Ross has reportedly been arrested in Atlanta on charges of kidnapping, aggravated assault, and aggravated battery. Ross’ bodyguard has also been arrested on the same charges, which Gawker reports stem from an incident where Ross allegedly pistol-whipped a contractor who was working on his Fayette County mansion. (A home which, incidentally, was once owned by boxer Evander Holyfield, no stranger to assault charges himself.) How kidnapping factors into the whole thing is unclear. The Associated Press reports that Ross and his bodyguard initially refused to open the gates of the property to authorities, then cooperated after U.S. Marshals forcibly opened them. This is Ross’ second run-in with the law this month; he was also arrested on charges of misdemeanor marijuana possession on June 10. Ross and his bodyguard are currently in jail awaiting a bond hearing, but they’ll probably be out and going on a Wing Stop run soon enough. UPDATE: Maybe we spoke too soon about the Wing Stop thing—Ross and his bodyguard have reportedly been denied bail, and will remain in Fayette County jail for the time being. New information about the charges has also come to light, as Pitchfork reports that during the alleged attack, Ross pistol-whipped the man, a groundskeeper, hard enough to break his jaw. He also prevented him from leaving the property, explaining the kidnapping charges.